Boozyshop Microfiber Makeup Sponge is a makeup sponge made with the latest technology. This velvet sponge is very soft and contains microfiber hairs. The special hairs easily absorb each product, allowing you to apply and blend your makeup with the right precision. Go for a beautiful smooth look, because with this multi functional sponge you can apply your foundation, concealer and powder products like never before. 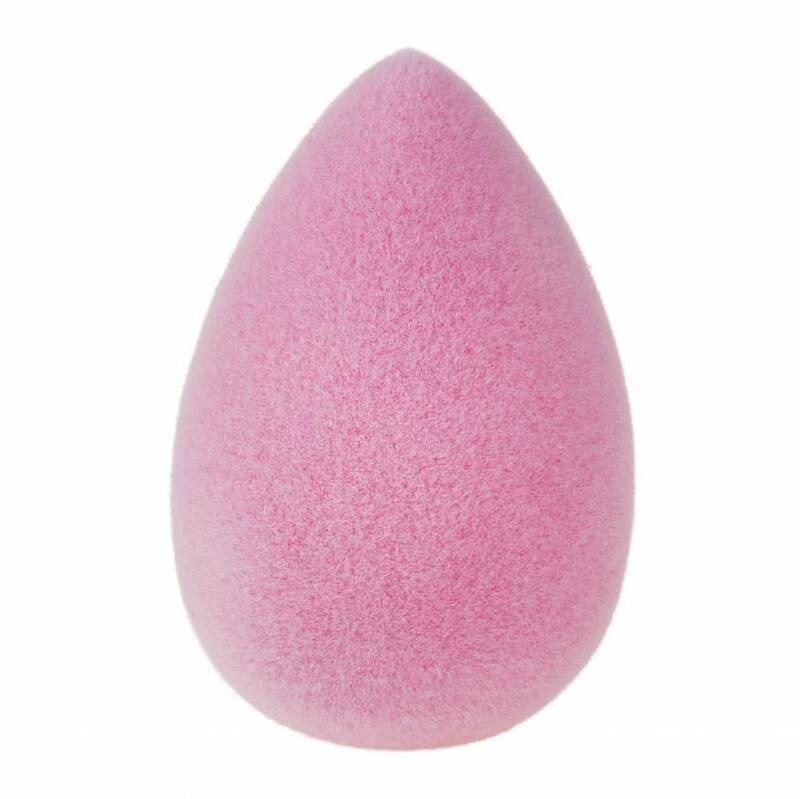 The pointy side of the makeup sponge can be used for hard to reach areas such as the nose, mouth and under the eyes. Do you want to apply foundation or blush? 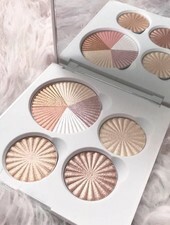 Then use the convex side and apply your makeup to the larger areas of the face. This sponge is 100% latex-free. Made with the latest technology. 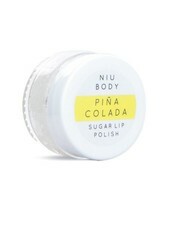 Ideal for applying and blending makeup. Suitable for cream and powder products. Moisten the sponge in water before applying cream products such as foundation or concealer. Now apply your makeup to your face in dots, until you have a perfect result. Are you ready? Let the sponge dry at room temperature in a well-ventilated and dry room. Use the sponge dry before applying powder products. Tip! : Make the sustainability of sponge and a perfect result no long rubbing motion across the face. The sponge needs to be cleaned weekly to optimize its lifespan. - Shampoo or a brush cleanser. Keep the makeup sponge together with the shampoo under the lukewarm water and then squeeze out the moisture. Repeat until the makeup sponge is clean. 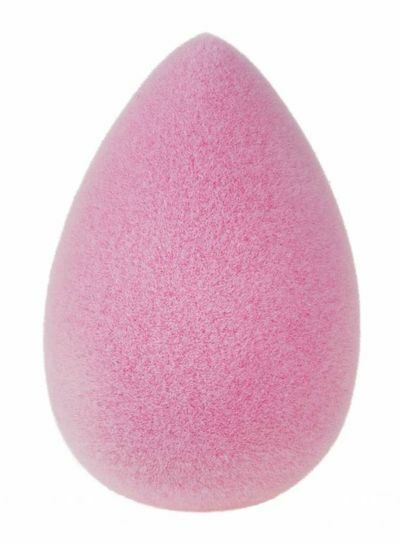 ATTENTION : Do not clean the make-up sponge by rubbing it over a surface, as a result of which the materials can tear. 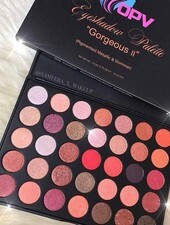 With a combination of colours, Eyeshadow Palette Gorgeous creates professional, crease-free eye looks. 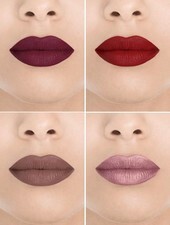 A wonderful selection of the worldwide popular Lipstick series from Gerard Cosmetics. 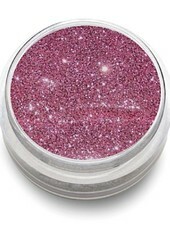 Our radiant, beautiful and loose glitter is safe to use on eyes, lips, face and body in brilliant smolder quality. Ofra Cosmetics Hot Toddies Mini Liquid Lipsticks is a set of beautiful lipsticks for your handbag. Our sugar lip polishes are formulated with pure sugar crystals, ultra-hydrating oils and shea butter for the perfect, smooth and plump pout! 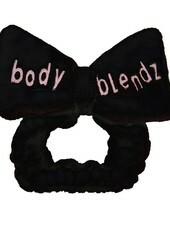 This headband is perfect for facial treatments, facial wash or to hold the hair and is washable again.